Please note: this concert has been cancelled. The band is still eager to perform, but is on the lookout for the right opportunity. 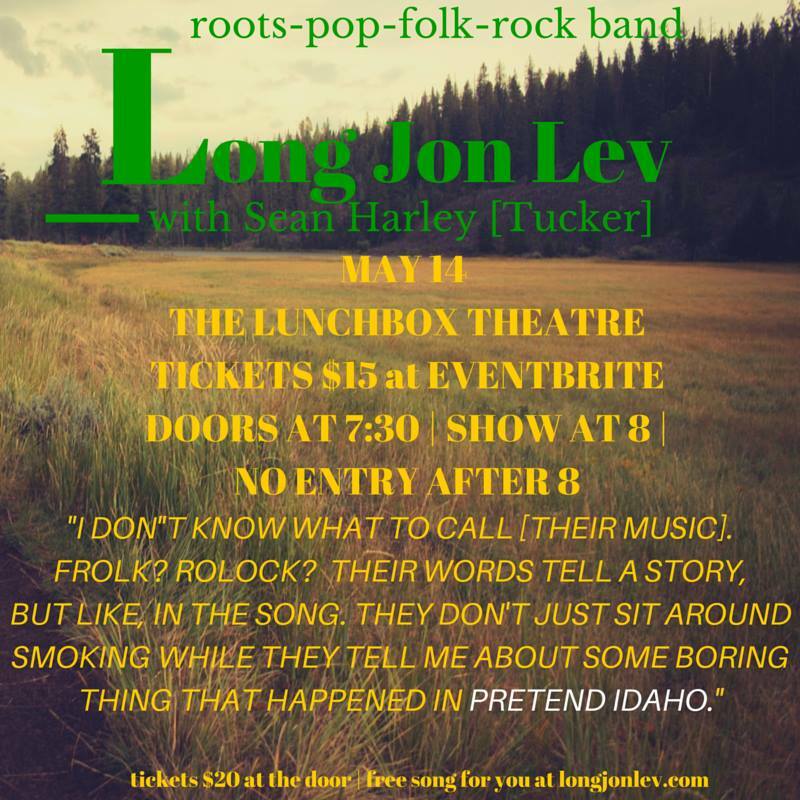 Long Jon Lev, headed by Canadian singer/songwriter Jonathan Ferguson, will be performing at the Lunchbox Theatre on May 14, 2016. Our very own David Andrew Wiebe will be on lead guitar and backing vocals. Long Jon Lev last performed as a 10-piece ensemble at the Lantern Community Church in Inglewood on November 27, 2015, for the Telltale Heart release. This performance was met with much acclaim, and left a lasting impression on its audience who can’t wait to see them again. The band continues to remain active in smaller configurations, but is finally back with another much-awaited larger lineup show. It may not be 10-piece this time, but it will be close, and the attitude will still be go big or go home. If you are interested in hearing/seeing Long Jon Lev, we’ve posted several videos below for your convenience. Go ahead, take a look. As you can see, the band is quite adept at different styles and brings a folk-rocking good time unlike just about anything else that’s out there. If you are in Calgary or area, you won’t want to miss this show. Advance tickets are $15 at Eventbrite, or $20 at the door. 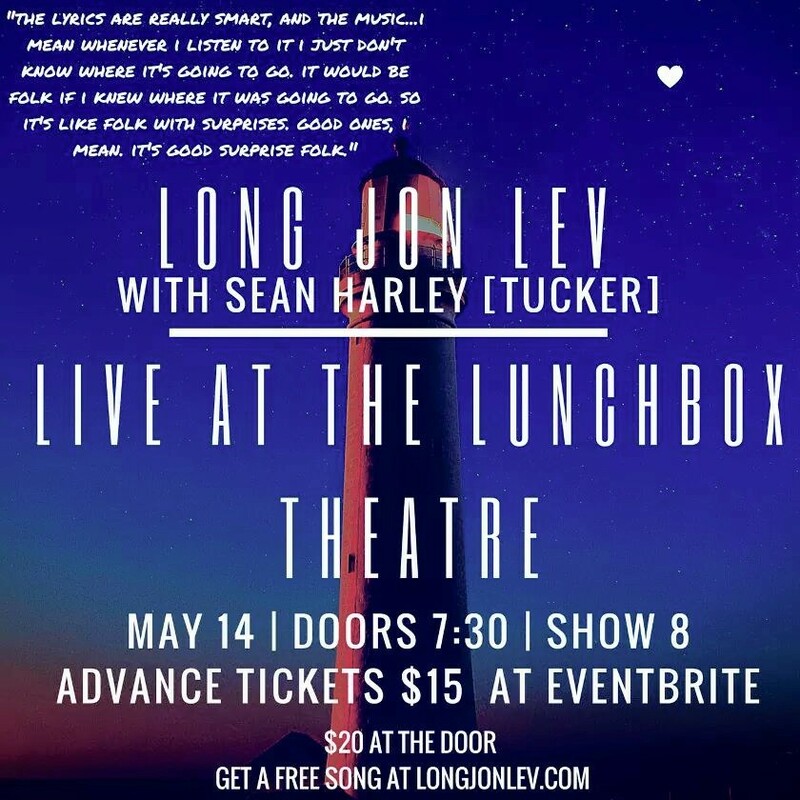 You can also claim a free song at LongJonLev.com. The doors are at 7:30 PM, and the show will be at 8:00 PM. No entry will be permitted after 8. 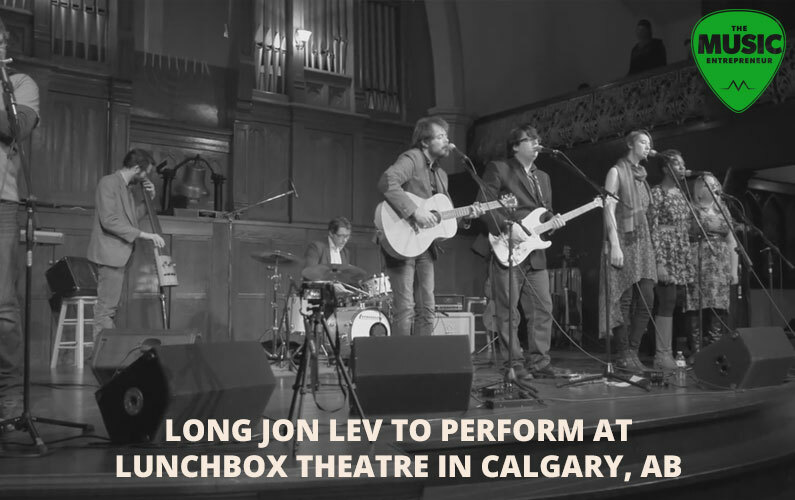 Lunchbox Theatre is located at 160 – 115 9 Ave. SE Calgary, AB.